Each week, Adrenaline Hunter magazine bring you one of our top pros. This week we hit Croatia, the land of a thousand islands. 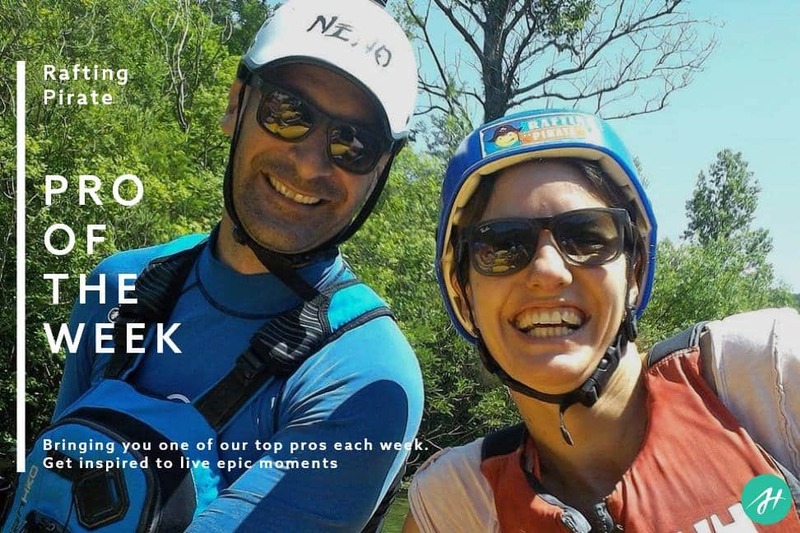 Our friends Nino and Heike offer a rafting experience down the beautiful Cetina river, operating from April til October. They’ll show you around the coolest spots in the area including some spectacular water caves. 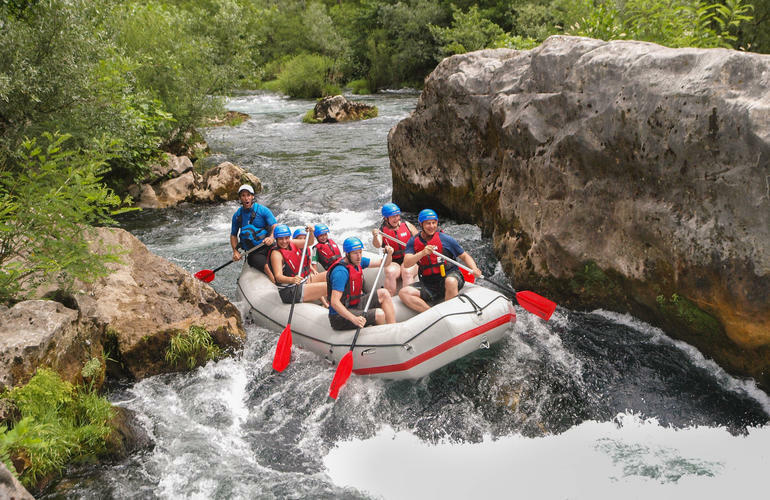 If you’re looking for adventure, then Croatia needs to be on your destination radar. What made you pursue as a career? How did you know you could make a living doing this? Neno is from Dugi Rat in Croatia which is only 5km from the beautiful river Cetina. 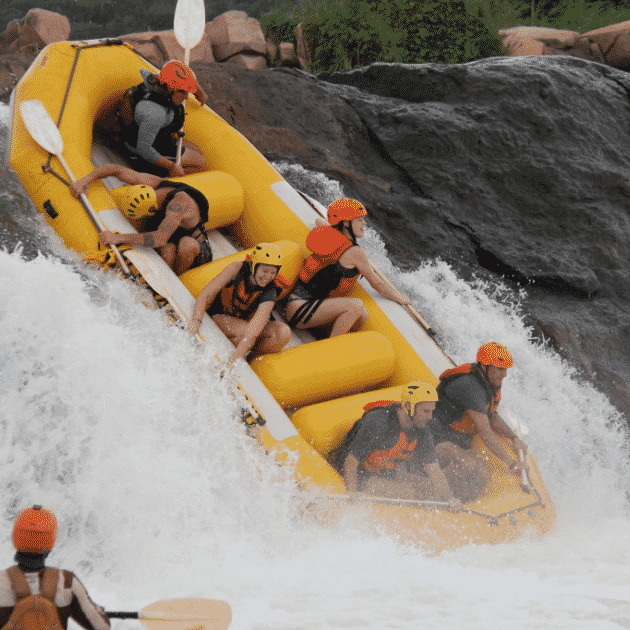 He became a rafting guide in 2001 and quickly went to first guide in the company, he started with . He began as the first one to take professional pictures on the river and combinded his two passions Rafting and Photography. He made enough money to travel in the winter months, when the company was closed and worked on rivers in Bali, Columbia, Costa Rica and Nepal. In 2015 we met during his travels in New Zealand. I just took a 6 months Sabbatical from my business career traveling around the world by myself. We fell in love with each other and Neno told me about his plans of opening his own rafting agency. Since 2015 the company Rafting Pirate exists and 2016 I quit my job in Germany and joined and with combined forces we became now one of the best company on the river. On a private note we got married on 2017 and still travel every winter around the world. We do what we love, and we hope our guests can feel this. Neno is one of the most experienced guides on this river, he is constantly checking for improving the adventure. Exploring a spectacular cave is one of our highlights of the trip which not many other companies are offering. Also we now start at different times to avoid the crowds on the river in high season. We also go with small group sizes and offer private tours for the unique experience. And the pictures from the trip show the high level of professionalism and quality. Further every guest who booked is receiving a private message from me including again the most important points, but also how to avoid the traffic in high season etc. So far I can still manage to contact every group personally and this makes a difference on how they feel treated. How do you see AH as a booking site? Do you think Adrenaline Hunter is different than the other sites? If so why? This is no lie, you are my favourite! Not only because you were our first online platform to work with, but also there are a few points I can say with utmost confidence. – it’s great for me that I as supplier are activly confirming the request. I do this 99% within one hour. Specially in high season it’s good to reschedule when necessary. – Thank you thank you thank you for having a supplier’s phone number. I cannot stretch this one enough. It’s crucial for me. And I always get nice people on the phone and they are very quick to help – ALWAYS! – I get all customer details, the name and surname, the phone number and the email. Usually they get an email from me like stated above. But when they are late, I need their phone number to check where they are. This is so helpful. Please keep sharing this info with us. It’s crucial. 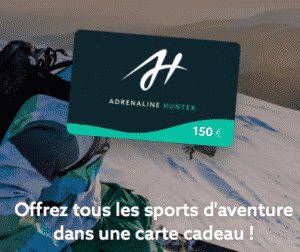 – Adrenaline Hunter is high on the Google rankings, which is in reverse good for us. To sum it up, it’s a very professional way of working with you guys and I really appreciate it!